INDUSTRY.co.id - Jakarta - The lack of availability of land and mass property enthusiasts in Jakarta, finally made a lot of property seekers are now starting to look for property looking on the outskirts of Jakarta, one of which is Cikarang area. Cikarang is the capital of Bekasi district, the area is now more shining shine along with the emergence of many industrial centers there, but if pulled back 10 years backward, this area is somewhat unpopular reason because it is far from Jakarta and the lack of infrastructure facilities. Due to the growth of property purchasing power in Cikarang, so it is no wonder the property price increase there every year grows around 25% this figure is expected to continue to rise along with massive infrastructure development there. 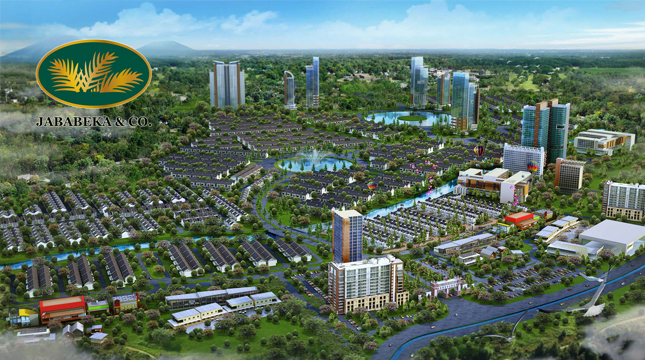 The property market in Cikarang is getting more prestigious since the entry of large developers who built various property projects, one of which is PT Lippo Cikarang Tbk, which develops an independent city-scale project called Meikarta. The project was developed on an area of ​​500 hectares, for the first phase of their development of marketing apartments sold for Rp 127 million. Since marketed, it turns out that this apartment has received a very positive response from the market, it can be seen from the sale of 150,000 units of apartments since the first marketed last May 2017. Meanwhile, according to Mart Polman, Managing Director of Lamudi Indonesia, Cikarang area will become the favorite residence for expatriate. Because there stands thousands of national and international companies that employ thousands of employees both local and foreign employees. "The expatriates there, certainly do not want to find a house in the area of ​​Jakarta, they want to look for a house close to their office," said Mart. According to Mart in Cikarang currently estimated there are about 21 thousand foreign workers, they need shelter, tourism and lifestyle. Previously, most of the expatriates lived in a treadmill that did not conform to the standards, and when there was an offer of apartments that fit the desired they immediately bought it. "Foreign workers are very upholding the quality, so when there is an apartment that suits what they want they immediately buy it" said Mart.